Ferry Cross The Mersey was written by Gerard Marsden from the band Gerry and the Pacemakers . Released: December, 1964 from the album of the same name. 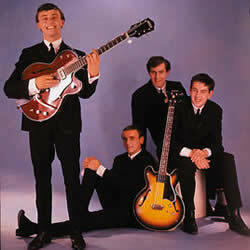 Gerry & The Pacemakers chords and lyrics are property and copyright of their owners. "Ferry Cross The Mersey" chords and lyrics are provided for educational purposes and personal use only.